In honor of Woman’s History Month, Jasiri X wanted to shed light on how violent this society is, especially towards woman and girls. 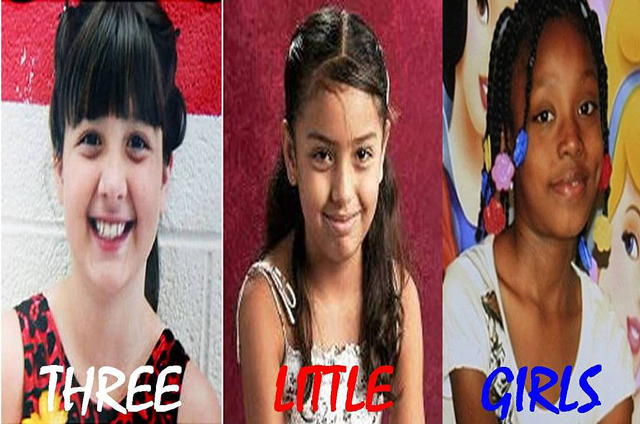 His new video, “Three Little Girls”, tells the stories of the senseless murders of Christina Taylor Green, who was killed during the shooting of Congresswoman Gabrielle Giffords, Brisenia Flores, who was gunned down by anti-immigrant militia intent on starting a race war, and Aiyana Jones, who shot to death while asleep in her home, by the Detroit Police Department, while they were filming a reality TV show. "I realize these are sad stories, but how can we not be moved to action by the cold-blooded killings of innocent little girls? We have to begin to take an unflinching look at a culture that continues to glorify guns, bombs, and war, and sees violence and aggression as the only solutions to its problems," says Jasiri X. Written by Jasiri X and featuring 10 year old Hadiyah Yates, this touching video “Three Little Girls” was produced by GM3 and directed by Paradise Gray. What do you think about this video? View @ http://youtu.be/kgcVMvl-k7A. Those families who are the victims of America's societial wickedness, are crying out from the graves and has joined the chorus of calling for its removal those who are guility of these crimes has ran the risk of having their whole bloodline cut off from the face of the earth!